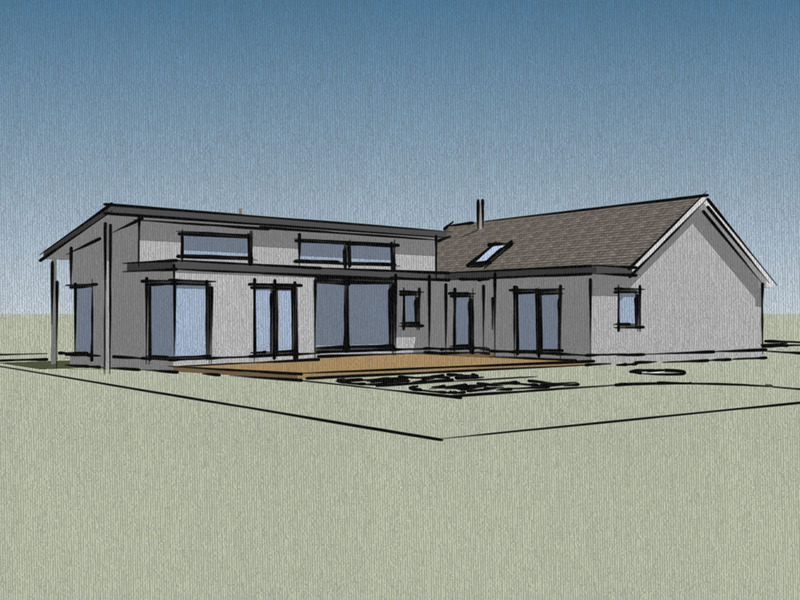 The brief for this project was to design & build a single storey contemporary extension housing a living room, playroom, large utility room & home gym. The extension was designed with large expanses of glazing a shallow butterfly room to allow large amounts of natural light into the internal spaces. 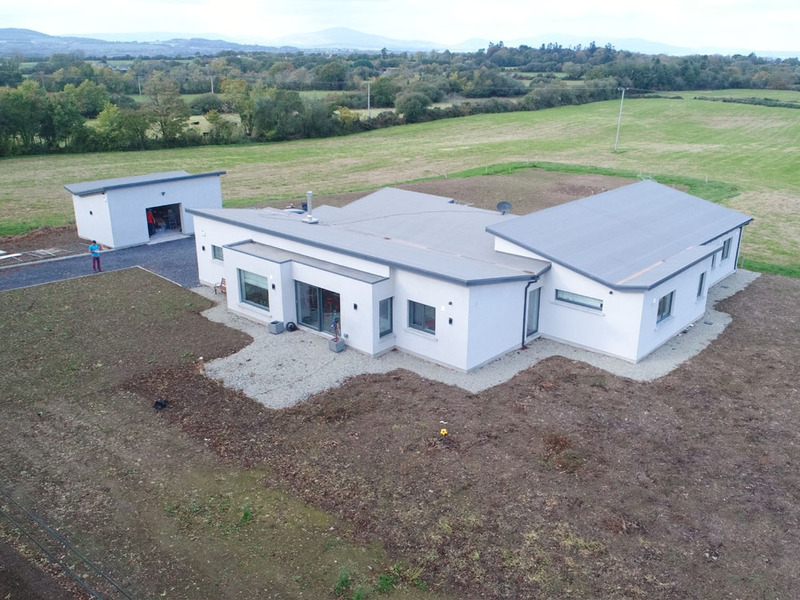 The extension was construction to a highly energy efficient using a passive slab system with externally insulated concrete & triple glazed windows & doors. Heat recovery ventilation and under floor heating are used in the extension to give the spaces a warm & comfortable indoor living environment.